Casey, the funniest middle schooler I know. We had an unexpected Library class, one that needed to happen on the fly because of a scheduling issue. No plan was possible. A week before I made 500+ salt dough ornaments in the shape of animals for my younger students to paint and glitter. To those classes, I read Patricia Polacco's The Trees of the Dancing Goats, about a Jewish family that brings hope and joy to their Christian neighbors during an outbreak of scarlet fever. The family decorates tiny Christmas trees with little, brightly painted animals and gives them to Christian families who are too ill to make their holiday for their children. The salt-dough ornaments were a literature extension, and a way to build fine motor skills as we carefully wielded paint brushes, glue bottles, glitter glue. Ultimately, the project was mostly to romance the kids. You do that when you are in a school one day a week. You want kids to associate fun and excitement with libraries and books. Back to my on-the-fly middle school class. I figured, what the heck, I had a zillion extra unpainted ornaments, and the middle schoolers don't get to do crafty stuff as often as the little ones. Do it with them. So I read the book and turned over the supplies. You could have heard a pin drop as my usually racous middle schoolers, even while some of them poo-pooed the project, got to work. Their hearts were in it. They carefully painted rainbow stripes, glittered intricate patterns, and wrote their names on the paper plates that the projects were to dry on. Nobody but them was going to take their particular ornament home. This week I again got my schedule mixed up. (Don't judge. I'm juggling over a thousand kids and many, many classes.) Casey showed up, asking where I was. Why wasn't I up in the class with the ornaments? Wasn't I going to let them finish them? I quickly packed up all the stuff and hiked up three flights with him. They pounced on their ornaments, this time to bejewel, string and gift-wrap. 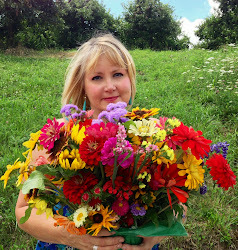 Wanting to be sensitive to differing family configurations, I said to the kids that they were now free to give their gifts to their "Moms, Dads, grandparents, foster parents, or Great Uncle Fred." Casey says, rubbing his chin, "Um. I don't have a Great Uncle Fred. But I have an Uncle Sam. You know-- the rich guy with all the money." I raised an eyebrow at him. Huh? Casey grinned his beautiful bright smile and said, "He takes most of your pay." How does an eleven-year old get so funny, so bright and so quick? I had a first period class in a room with 3, 4 and 5-year olds. These tiny ones. Bright brown eyes, long eyelashes, little braids. Tiny pink tutus over polka dotted tights. Shoes smaller than my hand. They shout when they see me. A great wall of joy passes between us, reciprocal, symbiotic. The run to the story carpet and sit down in eager rows. I'm grinning. I sit in front of them and jump a little, alert. "Did you hear that?" I ask them. They shake their heads. "Oh! It's the invisible Library phone! It's ringing!" My pinkie and thumb extended, I put the "phone" to my ear. They squirm with delight. "Hello?" I ask. "SANTA!" I cover the "phone" and say to the kids in a loud whisper, "It's Santa." Back to the conversation. "Hi, SANTA! You're watching the class? You want them to know you are proud of them? That they are very polite? Oh-- okay. Hold on a minute." I turn to the kids. "He wants you to know he's watching and he's so PROUD of you! What good manners!" Every little eye is dancing-- every little mouth is smiling. They are adorable. We are so happy to be together. 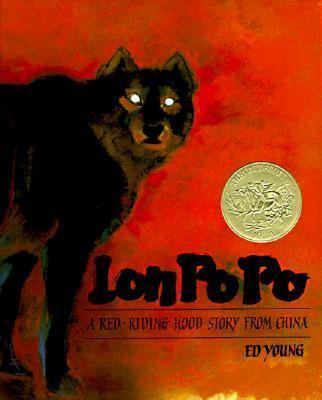 We read Lon Po-Po, the Chinese Little Red Riding Hood. Next semester we are going to study Asia-- so this is a taste of what is to come. We add magic dust (sparkly glitter) to our cards that go home. I teach them to spell "China" in American Sign Language. We sing as we work on our art-- Jingle Bells, I Have a Little Dreidel, Frosty the Snowman. A child starts a new song and we all sing along. The teacher in a different class who dims the lights and plays Tchiakovsky while the children work. She has released them to their chairs only after they name a fact about Australia-- the last continent they studied. Marsupials. Continent. Aboriginal. They have the vocabulary down. The art teacher who stays late to re-fire the pottery kids made with her. The colors aren't bright enough for her liking. She wants them to be proud of their work. The second grader who told his mother, "No bad guy could come in to Carmalt. Dr. Och would wrastle any bad guy to the ground." Dr. Och is about 90 pounds and female-- but everybody at Carmalt's Christmas concert laughed when she told that story. Not because it was improbable-- but because everybody there, Black, white, Asian, middle-eastern, grandparent, foster parent, teachers, Pre-K through 8th grade student--knew it is true. A trembling, tender, dear moment. The parent who remembers you, the one-day-a-week librarian, with a family photo Christmas card and a lottery ticket-- and a thank you. Thank you, God, for the opportunity to serve tiny people. They are such a source of joy and light. Sparks in the dark. After Newton, in this age of assault on the noble and, sure, I'll say it-- holy act of teaching-- you hold on to each one.